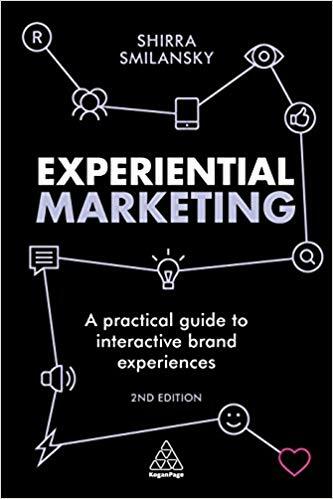 Experiential Marketing What is the experience economy? In this lesson; Shirra Smilansky author of Experiential Marketing, brings it up to date. Grant Leboff: Shirra, one of the things that I was taken with when I read your book, was you talked about the arrival of the experience economy, which resonated with me because my book, Sticky Marketing, which I think came out 2008, I also talked about the arrival of the experience economy. So I’m very interested to get your take on why you think that’s happened and why it’s become so important for brands and businesses. 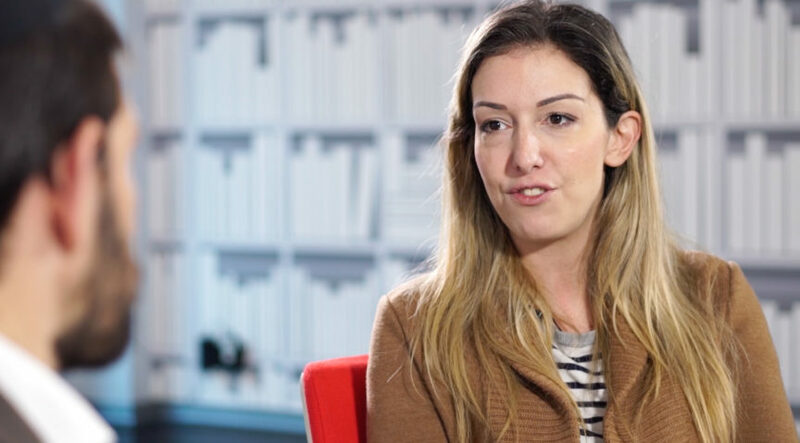 Shirra Smilansky: Pine and Gilmore, who coined the term around the experience economy, quite long time ago now, they did it when the only examples of brands that put the customer experience first were very limited to the likes of Red Bull, Disney, Sony Playstation at the time. There’s a handful of examples of brands that had turned the stage of their business into an opportunity to create some kind of deeper sense of brand theatre and an engagement. Times have really changed and what they first spoke about and predicted and forecasted… I think it was around 2004 or earlier, actually has come true, which is that as commoditisation has really changed the face of marketing and branding as we know it, in the sense that back in the sixties, just to add some brand personality and some really defined brand identities to your communication, enabled you to charge a premium for a product or service. Obviously that era changed and we moved into what Pine and Gilmore described as the service economy, where brands no longer were able to differentiate through branding alone and they had to start to add a layer of added value service on top of the product experience in order to differentiate. You saw that with, for example, car rental companies like Hertz or Avis offering a free collection and drop off. Obviously if you don’t have your car, which is why you need to rent one and maybe you were struggling to actually reach with car rental showroom. They identified that added value status would be a great way to differentiate and justify a premium price. Unfortunately everybody copied and followed say suite, so you get real commoditisation with the service economy as well. The idea is that with the experience economy, when you add a layer of experience to the offering, so you have product, you have brand, you have service, and now you also have the experience layer. It becomes much, much harder to simply copy that positive experience of your brand. It’s also something which becomes unique in the sense as a human personality might. An experience has so many multifaceted dimensions and we do truly perceive our experiences for every sense. So you have that whole sensory palette, and really creates a new, much more distinctive way for brands to communicate, to build relationships and to be distinctive. And that distinction through that experience ultimately leads to an ability to charge a premium and to stand out from the competition and remain different in times of fierce competition that we’re in. Grant Leboff: So when you talk about the experience, one of the things you talk about in the book is customer relationship management and then move into customer experience. Grant Leboff: So how does a company – if they start to try and think of themselves as an experience rather than just a another service or product – how do they start to map out and think about this sort of management of the experience in this customer journey? Shirra Smilansky: If you look at the kind of classic four p’s of marketing; Product Price, Place, Promotion and then you look at the extended seven p’s version, adding the People, the Process and the Physical evidence, I often find that those kinds of added three p’s are a really, really good place to begin when it comes to starting to map out your customer experience, analyzing it from the perspective of your customer first. So it’s about the people. Who are the people who represent your brand? Let’s look at some of the top brands that have been voted from Forrester’s top customer experience brands, and obviously IBM and Apple really do rule the roost. With Apple, their brand ambassadors in the stores, in this ‘genius persona’ really have become synonymous with what the Apple brand represents to its customer and how that positive customer experience translates into advocacy and word of mouth. Those people, that front human component of your brand, whether it’s in the stores, wherever it’s on the phone – like First Direct may not have any stores, but as a direct to consumer banking brand, they’ve actually achieved immense scoring on the brand scores, on the customer experience scores… and that’s through that human component on the phone. So it’s not just in the stores as well when it comes to the brand ambassadors. How do you make your own staff, how do you make your own employees, really become that passionate advocate who’s going to go out and sing your praises of your brand, your product or service and talk from a place of personal recommendation? So not just; here’s the blueprint and this is what they told me to say, but actually ‘I used this and this is why it added value to my life and here’s my personal story’ and that’s not even to go into the process and the physical evidence.